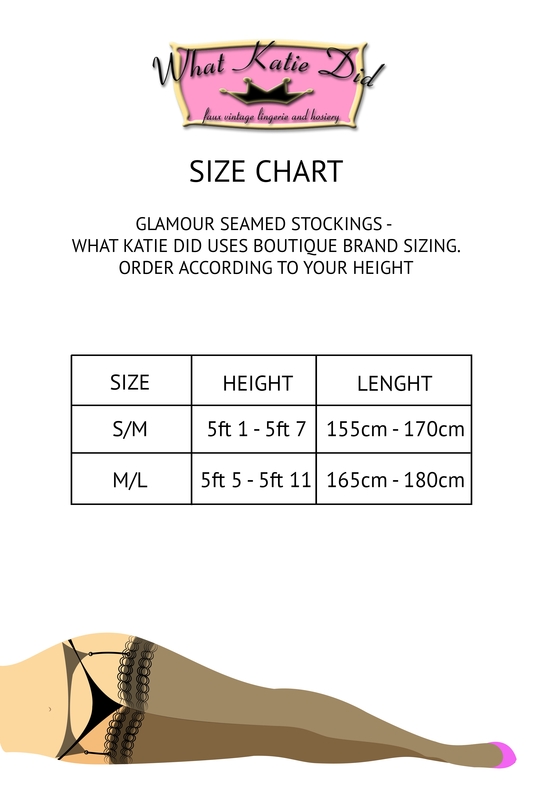 How do you brighten up the darkest of days, with a pair of Sky Glamour Seamed Stockings by What Katie Did! The powder blue pop is a great addition to any vintage inspired outfit and the wide welts authentic to the 1950s is super flattering on our curvier legs! Love the look? Check out the Seamed Stockings Purple Glamour by What Katie Did!